Particularly rare portrait pose of "$10,000 Kelly" with "Chicago" on his jersey (pose #254-1). All Old Judge portrait cards are very desirable. 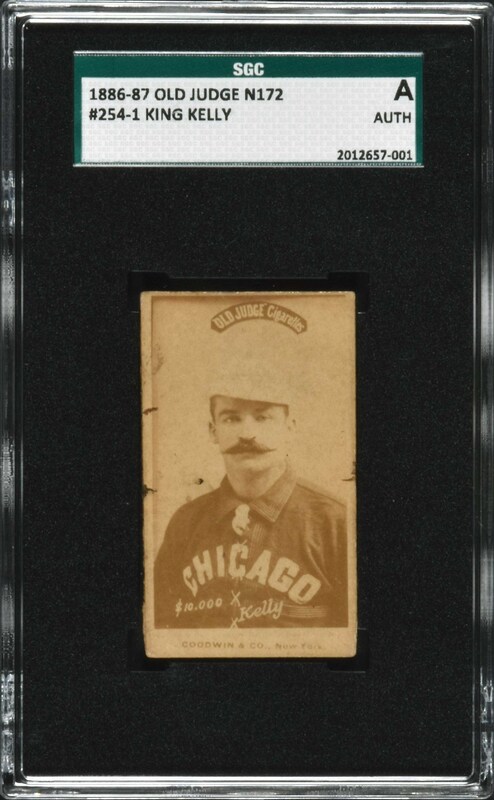 This portrait pose, featuring Mike "King" Kelly with Chicago, is one of the most desirable cards in the Old Judge set. The card features a majestic portrait image of Kelly (the contrast is just a little light). This example has been encapsulated as "Authentic" by SGC due to falling just below the acceptable size (SGC standards). It shows no evidence of trimming or alteration, but it is 1/8" small and therefore did not receive a numerical grade. (It is interesting to note that this card was originally in a PSA PR 1 holder and our consignor cracked it out to cross over at SGC.) This is a very attractive card with an approximately Vg/Vg-Ex appearance from the front. 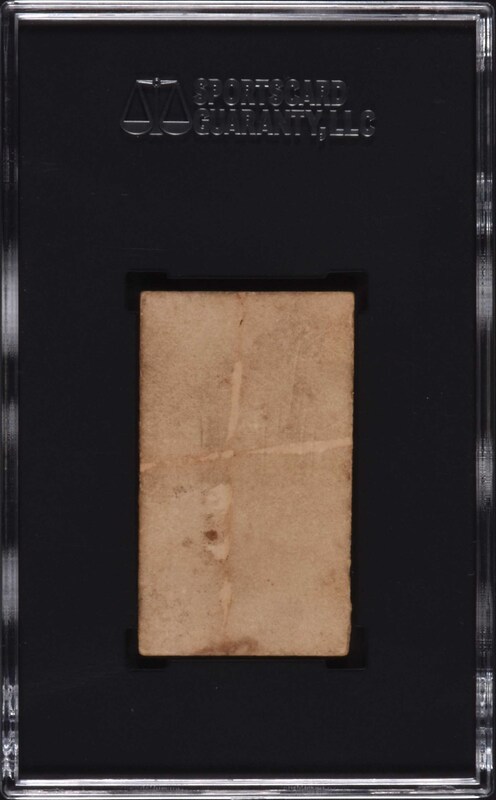 The blank reverse has light soiling and evidence of album removal. This is a very presentable example of one of the most striking cards in the Old Judge set of the legendary Mike "King" Kelly. Reserve $300. Estimate $500/$1,000+.